With colonisation came a dramatic change in the relation of Maori to the land. Since 1873 freehold titles have been granted for Maori land and this has imposed on them a system where land is a marketable commodity. 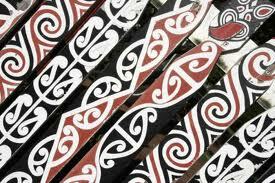 But for Maori land provides iwi with their sense of identity, belonging and continuity. Land is the people’s link with their iwi and their turangawaewae and is not seen as a tradable commodity. The colonists also imposed on them a valuation system which valued Maori land too highly because there isn’t a willing seller. Rating charges have been historically unfair in terms of the services received, the unique qualities of Maori land and the vast contributions Maori have made to the country. Rating arrears have accumulated particularly on isolated rural land held communally by Maori. A lot of Maori land is stuck in a state of near paralysis by the system of multiple ownership, and a lack of capital to develop their lands. Until these issues are addressed the rating regime will remain incompatible with Maori Land tenure. · The assessment of ‘Market Value’ in determining Land Values must take into account Maori Land values. · Further policies to be developed. Questions: It looks as though it is fair to exempt Maori land that is under the Maori Land court. The damage that has been done since 1840 is enormous and it has resulted in turning Maori against Maori. Somehow we have to solve this.